We bring fantastic timber doors and windows to customers throughout Blandford Forum, Shaftesbury, Gillingham, Weymouth and surrounding Dorset areas. 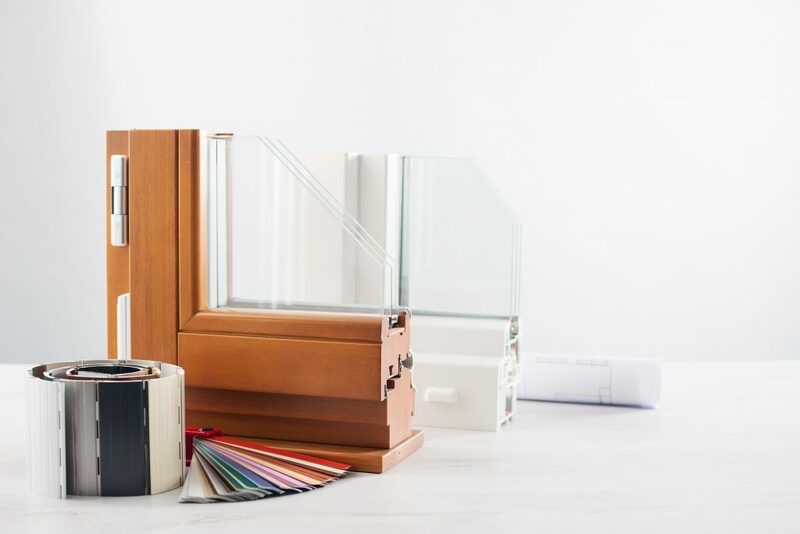 In that time, we have fitted innumerable properties with excellent quality double glazing products, utilising only the finest materials in our state of the art manufacturing process. Improve upon the beauty of your home with timber doors from Total Window Repairs. Our outright devotion to quality has earned us a reputation for providing top-quality products and service throughout the area, which is why we utilise the Howarth Timber door design to bring you timber doors that offer optimum features and benefits. Blend traditional styles and contemporary benefits with timber doors from Total Window Repairs. Timber is a fantastic choice of material for producing entryways in your home. The intrinsic strengths of the material itself are one of the many reasons that contemporary timber doors easily out-perform the competition when it comes to security and durability. Furthermore, all of the negative connotations associated with timber products have been ironed out by modern manufacturing. This manufacturing utilises state of the art weather-proofing and finishing techniques, as well as incredible profile modifications that are able to reduce and in some cases eradicate the chance or rotting or warping. These negative aspects are a thing of the past with modern timber doors, and that’s one of the many reasons that our products are so popular with customers. All of these factors point to a door that will fully protect your for many years to come, and will actively prevent unwanted persons from being able to access your home through a string of anti-intrusion mechanisms. This can then be bolstered by improved ironmongery and our high performance range, which operates with Secured by Design accredited locking systems as standard. We offer a fantastic range of door types for any and all properties throughout Blandford Forum and the surrounding Dorset areas. From French to panel, glazed to double, we can easily find you a door that offers you optimum thermal efficiency and security. In the more eco-conscious times that we live in, we understand the importance of producing doors that can benefit customers economically. Because of this, we utilise a stringent manufacturing process that builds upon the innate thermal efficiency of timber as a material. This then allows us to craft a product that works at optimum thermal efficiency around the clock. Specifically, our timber doors consist of two panels with a sandwich of insulating material, which serves to reduce your energy bills significantly. These insulated thermal panels built within the profile of your timber doors will also serve to trap heat in and reduce cold seepage, easily meeting and surpassing Document L of the UK government Building Regulations. Don’t settle for anything less than the best with your new timber doors, and get in contact with our team today to see exactly how we can help complete your home. Our Secured by Design timber doors are some of the most incredibly secure products available in the UK to date. We want to bring customers high-quality products that can properly protect any home, no matter the design or style. We do this out of an understanding that your main entryway should offer more protection than any other fenestration product! For extra security, we can offer a high performance range of single and double door sets that make the Secured by Design accreditation with flying colours. In the meantime, our doors themselves utilise intricate locking mechanisms that consist of inter-linking sections, complete with Ovolo moulded internal profiles and a 6mm thick timber internal panel for added strength. On top of this, we offer high-intensity security hinges that are specifically designed to prevent intruders for lifting the hinge to gain access to your property. Furthermore, heavy-duty hinge packers allow the hinges to be moved in or out of the jamb to allow for swelling and shrinkage, so your timber doors will maintain their structural integrity without fear of decay. White and Black window handles as standard with the option of a variety of colours and finishes. High security approved Document Q compliant ‘Secured by Design’ locking system is fitted as standard on the Storvik range and is now available as an option on all Timber windows and doors. Leading is available in either 9mm or 12mm thicknesses applied to both sides of the external pane. Square and Diamond patterns (illustrated above) are available as standard. Why Do My Timber Doors Have Condensation? One of the main causes of condensation between the glass fitted into timber frames, unlike PVCu or Aluminium, is that the sealed units are not drained and the perimeter of the sealed unit is not ventilated. Another usual cause of failure is when fitters have not used packers when fitting the units. Failed units will be less energy efficient as there is no vacuum between the two sheets of glass, and of course less aesthetically appealing if they’re misted up. How Do You Replace The Double Glazing Unit Inside My Timber Doors? We measure your units and phone you with a quotation. Upon acceptance of our quote we order the new double glazed units and book in a date for installation. We will also advise you how long we expect the job to take ie: less than an hour, 2-3 hours etc. Our Engineers are extremely experienced in installation of double glazed units into timber frames. Sealed units which are puttied in don’t help the life expectancy of the unit, so where possible we remove all putty and bed the double glazed unit on double sided security tape, then fit bead externally where possible rather than re-puttying. It is possible to do this on 99% of windows. What Warranties Do TWR Offer For Replacement Double Glazing Units? Double glazed units fitted by TWR into timber frames have a 5 year warranty. Double glazed units which are puttied in hold no warranty at all (see above regarding fitting with bead rather than putty). All our units are manufactured by a nationwide company and are all made to measure. My Timber Door Handle Is Broken. We can simply replace your handles – whether it’s for your windows or doors, either like or like or we can find a similar alternative. 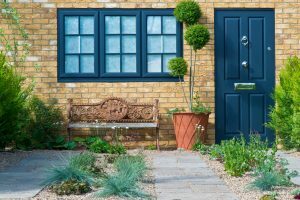 Can You Paint My Timber Door For Me? All new timber is left primed. We are happy to provide a separate quote for full re-decoration of your windows.